Bigfoot Coffee is a new company based in Oregon. It is the brain child of Bigfoot enthusiast, Gunnar Monson. Gunnar was recently at the Sasquatch Summit where he featured his delicious coffee and T-Shirts. He will also be on Monster X Radio this Sunday to talk about his coffee. 1 pound bags of delicious micro-roasted Whole Beans of Bigfoot Coffee are $20 each or 2/$35 plus $5.95 s&h. 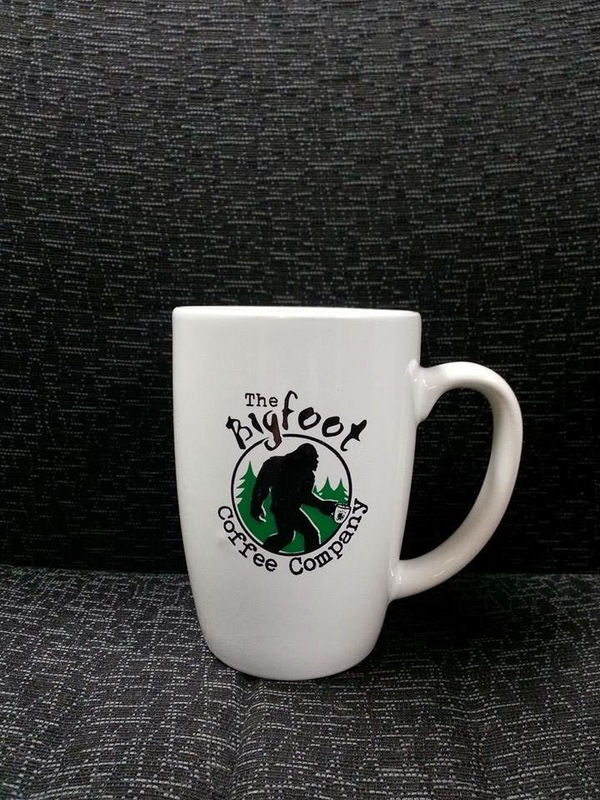 They also just got in new Bigfoot Coffee Company mugs and they are $14.95 each +$3.95 s&h. Visit and "like" them at their Facebook page for a chance to win Bigfoot Coffee bling! UPDATE: They hit a 1000 likes so a winner will be selected for a year's supply of coffee but there will be more giveaways as the likes come in. 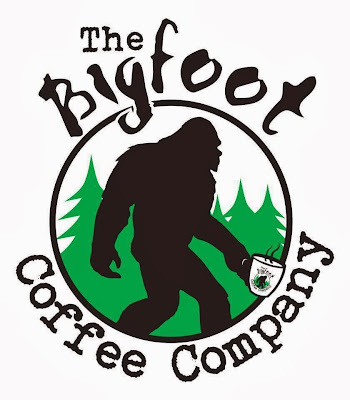 Bigfoot Coffee, have you tried it Yeti! Iam a serious coffee drinker & will be glad to promote your product and sponsor it . Ill be sure to make a purchase . I would love to have plenty of this in May at my ECBRO RESEARCH EXPEDITION. I bought some of the bigfoot coffee while in Oregon; I went to the web to see if I could purchase more. After an hour or so I finally found your site. Since the website (from package) is no longer available, your Facebook link isn't working; it makes me wonder if the coffee is still available. Hi I am new to your sight. Dave from PacWest Bigfoot recommended your coffee, he also said you have a sale going on. Do I need a code?